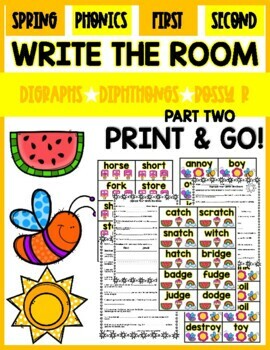 These are summer themed write the rooms with phonics skills! 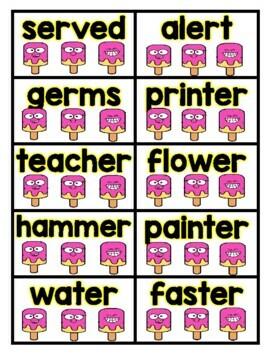 There are 12 write the rooms with various phonics skills. All you have to do is print the cards and cut them out and hang them around the room. 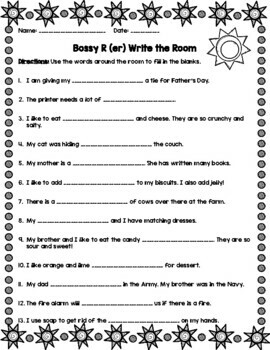 Students will have to read the words and the sentences to figure out which word fills in the blank. 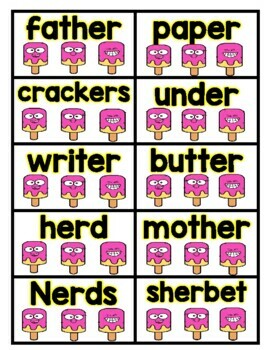 This is great reading and phonics practice. I like to use these after I have taught the skill and then give these to my students for independent practice! These are a great activity to get your students moving!